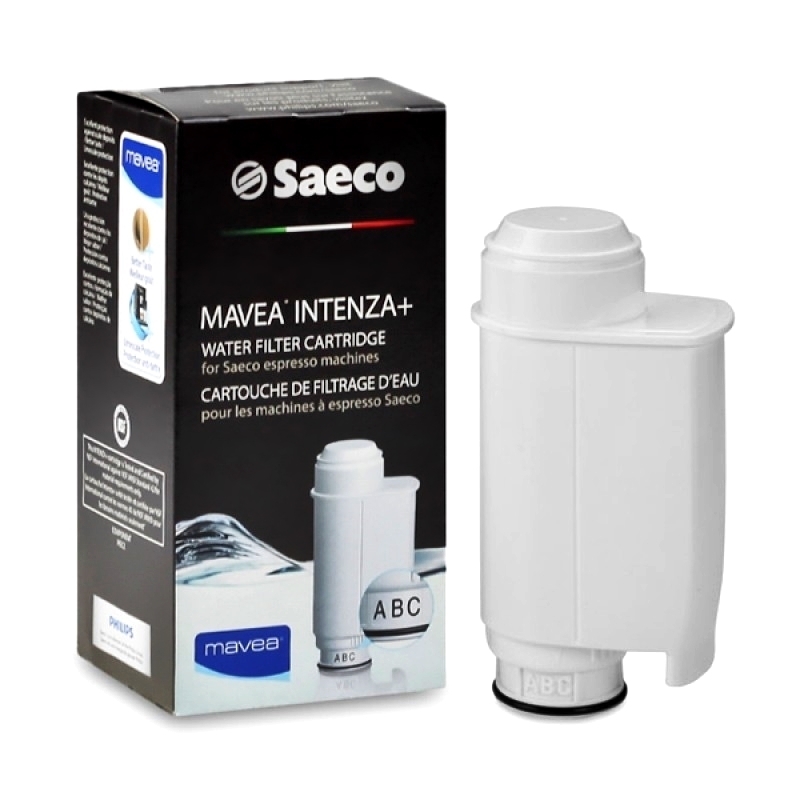 The Saeco Mavea+ Intenza water filters remove particles and impurities from tap water. This filter provides outstanding protection against scale deposits leading to better tasting coffee and longer machine lifespan. Filter should be replaced every 3 months. Exprelia, Incanto, Intelia, Nina, Odea, Poemia, Primea, Royal One Touch, Syntia, Talea and Xelsis.. This filter does not work in other models. They won my heart by answering the phone and talking to me like my business mattered to them. They had everything I needed and wanted and were very polite and efficient. I will definitely use them again. Necessary for good coffee, easy to use, simple to order and delivered to your door. Perfect! 1st in Coffee offers a wide selection of filters for the various machines. They also have prices that beat Amazon on many items. They also offer to price match if you find a lower price. Recently I ordered a pair of Saeco - Maeva Intenza water filters for my Saeco Avanti coffee/espresso machine. I am very happy to report that the filters do an AWESOME job sweetening the hard water that my kitchen tap dispenses and never fails to give me a righteously great cup 'o Joe every time!